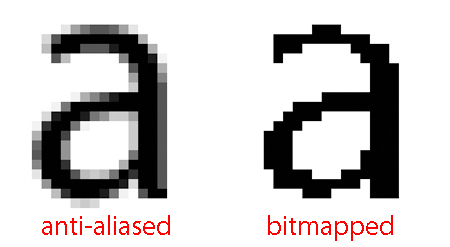 Anti-aliasing is an often-used term when talking about text on a screen. The technique uses shades of gray to create the illusion of a curved edge. It is especially effective for presenting text on a screen at large sizes. At small sizes, however, anti-aliased text looks smudgy. Readers prefer pixel fonts.